2.34+/- AC located on the NE Cor. of Hwy 390 And Baldwin Rd. 305+/- Ft. on Hwy 390 and 356+/- Ft. on Baldwin Rd. Zoned Gen. Comm. (C-2)(City of PC). Water & Sewer Available (City Of PC). 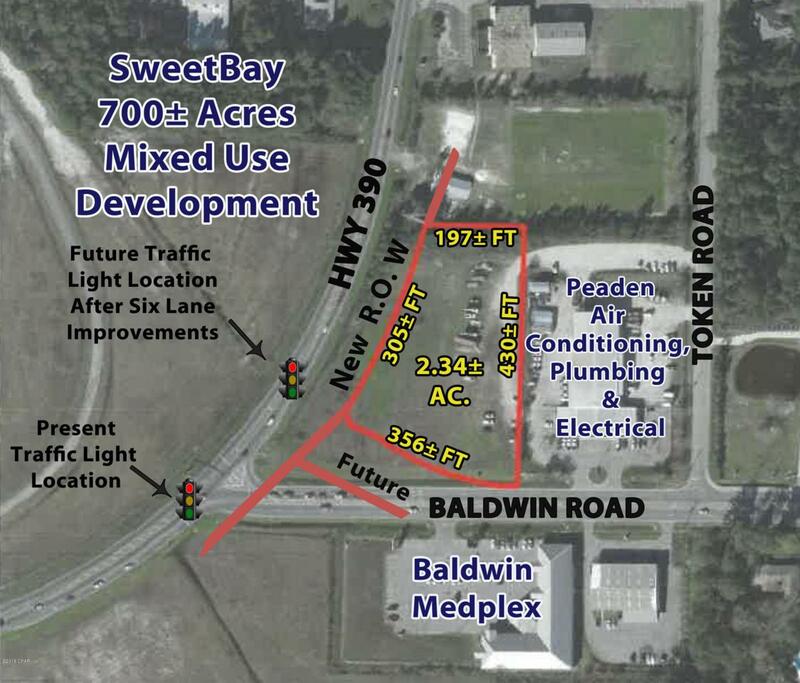 This site is located across Hwy 390 from the 700+/- AC SweetBay Mixed Use Comm. and 3,200 Unit Res. Dev. The 1st Phase for a Charter School (University Academy) and Infrastructure for Res. Homes is complete with 130+/- homes sold and under construction. The present intersection will be removed and the traffic light will be relocated with the new intersection, improvements are being completed from 2 Lanes to 6 Lanes. Const. began Aug. 2017 with scheduled completion Oct. 2019+/-. Buyer should confirm all information concerning site, dimensions and rely solely on their findings.